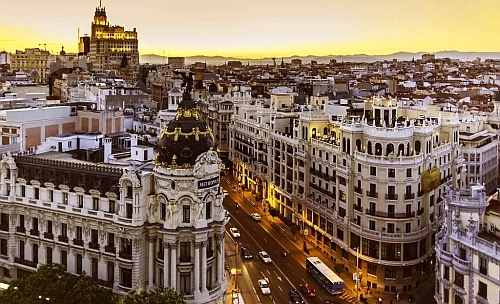 American Airlines and Iberia have dropped the price of their flights from Seattle to Madrid, Spain down to $645 CAD roundtrip including taxes for travel in the peak summer travel months of August. The flights have 1 stop each way, usually in Chicago or Dallas. You may also be able to find some with British Airways, connecting in London Heathrow. The cheapest flights from Vancouver to Spain in July or August are going for around $1580 CAD roundtrip. The cheapest non-summer flights from Vancouver to Spain are going for around $1100 to $1250 CAD roundtrip. August can be incredibly hot in Spain. August temperatures in Madrid have an average high of 33C. May, September or October can be a better choice for warm (but not crazy hot) weather. Look for the dates that are $668 CAD roundtrip. From Google Flights you can click through to the airline's website to book these flights. IMPORTANT: Some of the booking sites showing these fares are in $USD - so watch out for that. flight deals, seattle, sea, europe, spain, madrid, mad, american airlines, western europe, southern europe, iberia and british airways.